We're pushing the limits of athletic potential... and it starts with our equipment. 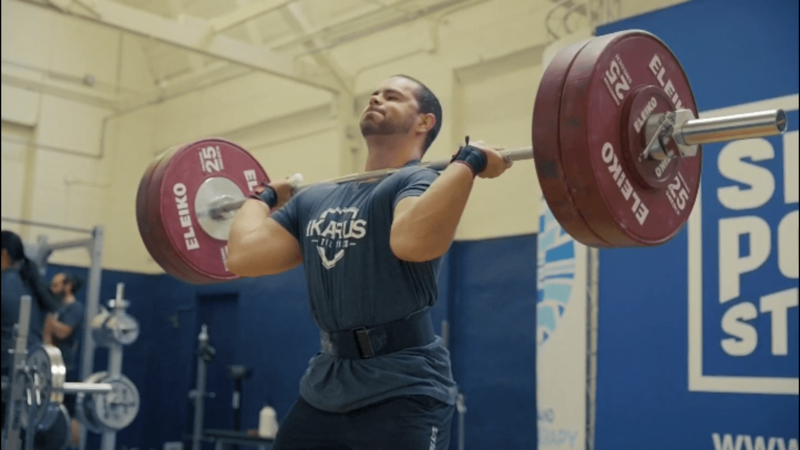 Which was my biggest concern because in Olympic Weightlifting I keep the bar pretty close. The other belts have that buckle and stuff and I clip against them all the time. 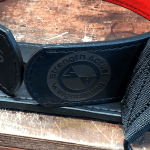 I want to be able to put the belt on and keep it on, which I was able to do with this belt by just loosening the fastener." On second thought, DO get us started on that! No one wants to attempt a lift with a belt that (a) doesn't fit right (b) is bulky and (c) is a pain to get on or off. So, why are you still dealing with insufficient equipment? ADAPTIVE FASTENER: precise adjustments allow for the perfect fit both in training and competition. HIGH-QUALITY MATERIAL: enjoy function and style in one with hand-crafted premium American leather. 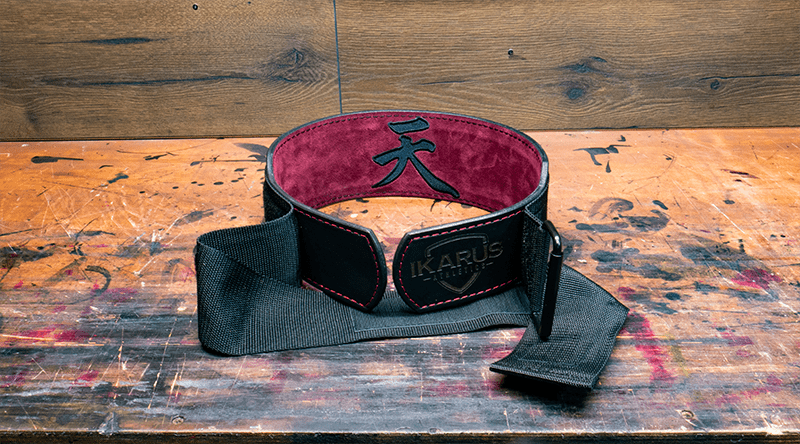 CUSTOMIZATION: we offer 20 different colors of suede and over a dozen colors of thread to suit your lifting persona. You deserve high-quality equipment that works as hard as you and will never stop performing. That's why our buckleless attachment system is secured with industrial-grade polypropylene webbing to our premium American Made leather belt -- the perfect broken-in fit without wearing out. 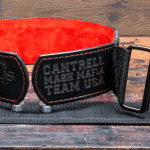 Add text to be engraved on your belt! If you are having your name engraved please select one of the fonts listed here. If no font is selected Cursive will be used as a default font. Please note only single color images can be laser engraved, please see the photo gallery for examples of single color engraved images. Please upload .png files ONLY! 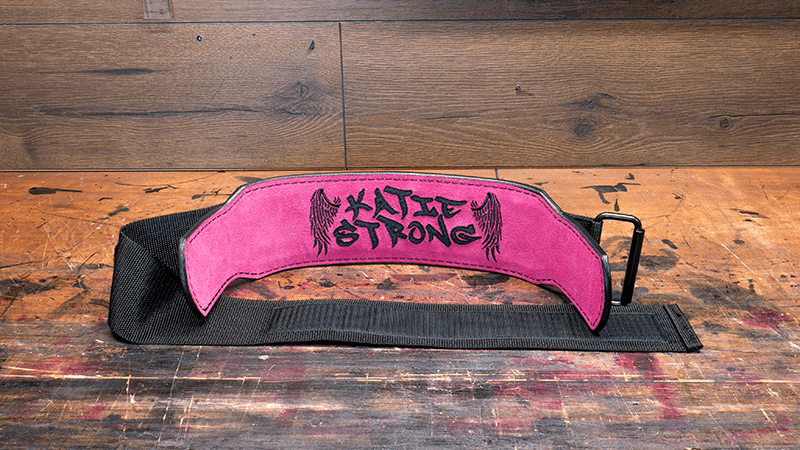 Add text to the inside of your belt! Add a custom image to the inner suede liner! 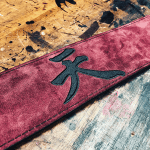 Multi color images can be embroidered onto your belt. Please upload .png files ONLY! The buckle-less attachment system is secured to the belt with industrial grade polypropylene webbing for maximum performance in any size. Never find yourself struggling to fit in the fixed size holes of your belt again. The Adaptive Performance Belt gives you a perfect fit every time. 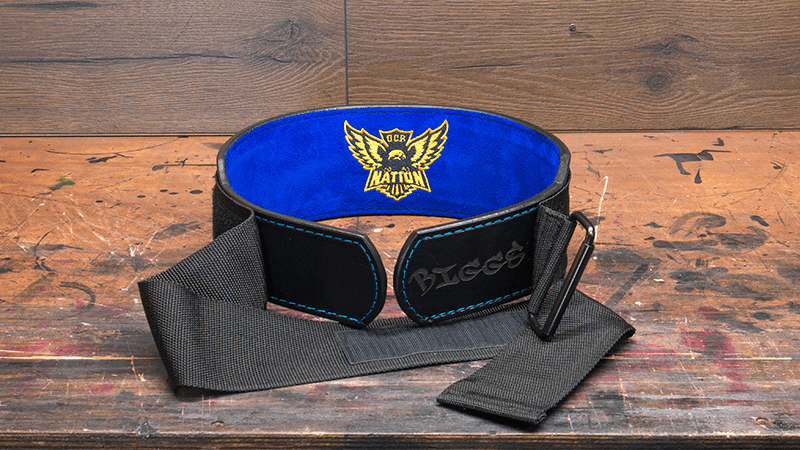 This belt is ideal for those whose weight may fluctuate between in season and off season, and for everyone who needs to quickly tighten and loosen their belt during a workout. 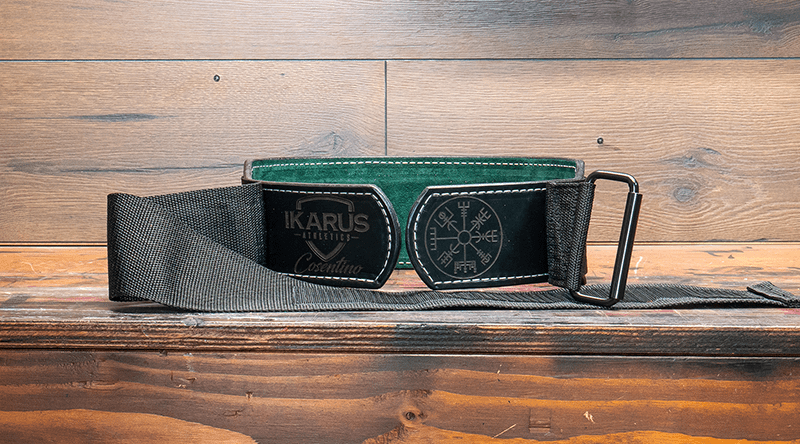 The Adaptive Performance Belt is truly where the perfect design meets the perfect fit.